Size of Property : 1,350 sq.ft. THE LAST RESIDENTIAL TOWER WITH PANORAMIC VIEWS OF DOWNTOWN DUBAI, BURJ KHALIFA AND DUBAI FOUNTAIN. The magnificent 58th storey residential tower will offer you modern contemporary apartments which includes 1, 2 and 3 bedroom apartments. 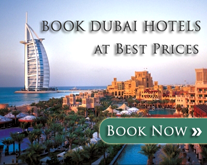 It is perfectly set in the Old town district and the Mohammed Bin Rashid Boulevard. Burj Royale are designed to make you feel like you are a part of Downtown Dubais iconic landscape. The concept fuses both elements into one unifying theme by treating the lower faade in a traditional way, gradually transitioning into the majestic and modern structure. Call Anthony 33440 on 971 563505454 for immediate details.